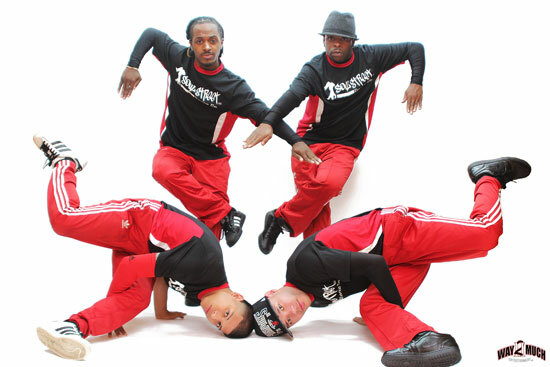 Soul Street Dance combines hip-hop, storytelling and music, creating a dazzling, high energy show in the process. The two founders of the Houston-based company, Rock Williams and director Javier Garcia both have a long history as dancers. When the company in which they both performed ended its run, the two men knew they wanted to continue. They soon formed Soul Street Dance. The company seeks to combine soul (“you’ve gotta have soul with whatever you do in life, says Garcia) and street dancing. Garcia and his colleagues are focused on the positive. And Soul Street Dance has taken its inspiring message around the world; in recent years the company has performed all across the United States as well as in Haiti, the United Kingdom, Moldova, Bosnia, Kosovo, Hungary, Germany, Canada and Mexico. The list goes on and on. Another popular program developed by Soul Street Dance is called “The Art of Hip Hop.” That show spotlights the talents of Rock Williams. “He’s not only a pop-and-locker,” Garcia says. “He’s a rapper, too.” that program was originally designed for use abroad under the aegis of the State Department, but proved so popular that it’s now performed at shows here in the U.S. Soul Street Dance offers a number of programs, each with a specific theme and focus. Soul Street Dance’s “Breaking Backwards” show features both Garcia and Williams plus other company members who alternate between dancing and deejaying.